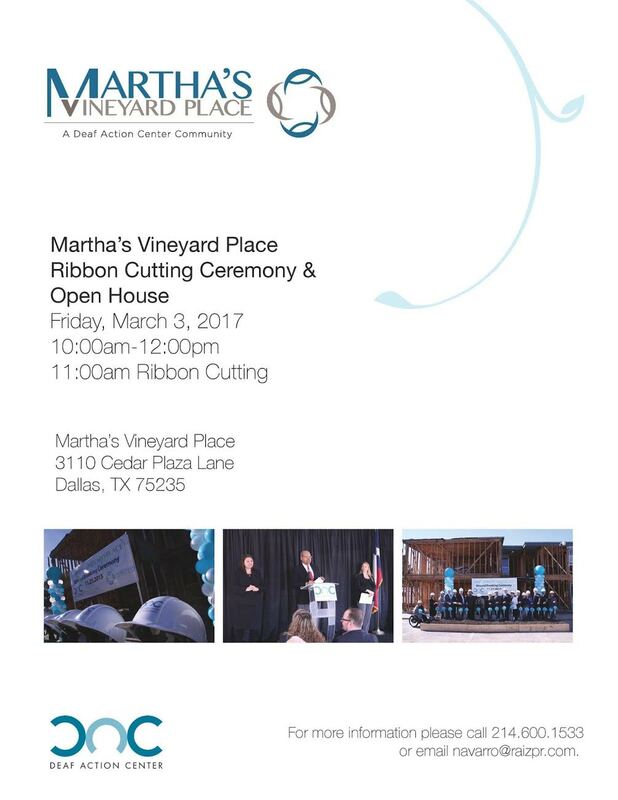 We are EXCITED to invite you to Martha’s Vineyard Place’s Ribbon Cutting Ceremony on Friday, March 3, 2017 at 10:00am to 12:00pm.Come and join us in this historic and celebratory moment! ← Are you a Deaf Woman and Visionary? Artist? Founder? Entrepreneur? Apply today!